Writing every day helps students express and support their ideas. It also helps teachers assess learning. The Writing Workshop in myView Literacy provides a student-centered framework that helps children write daily and purposefully. 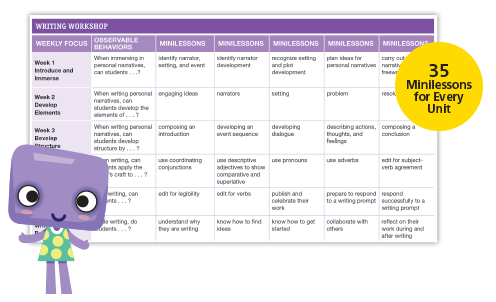 A bank of minilessons focuses teaching on explicit skills that align to writing standards. Students spend the majority of the time writing. Teachers model and support the process, then confer, prompt, and work with individual students. Minilessons provide explicit instruction focused on a specific writing technique or strategy. Each minilesson has options for Modeled, Shared, or Guided Writing. 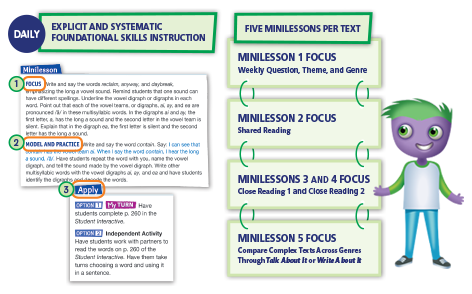 The minilessons establish a simple, effective, daily routine for reading success. The routine ensures that instruction is productive and purposeful. 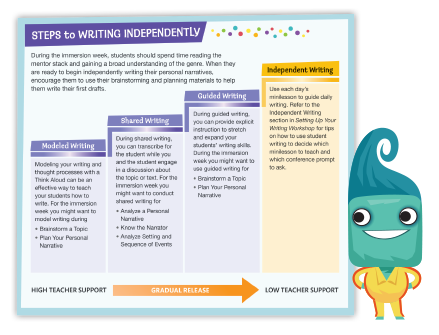 The weekly minilessons support sustained growth toward independent writing. It’s not just the quantity that matters, but the deep practice of addressing specific writing needs. myView Literacy helps children take themselves seriously as writers—and enjoy writing. Scaffolding builds students‘ confidence and encourages partner and whole-group sharing. 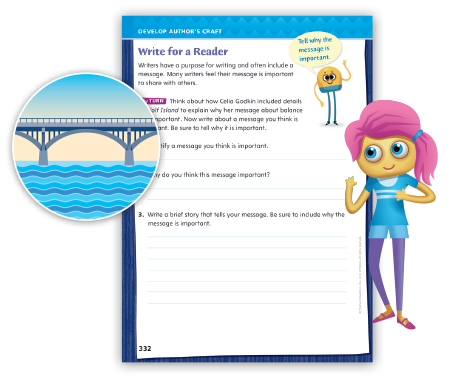 The Reading-Writing Bridge helps your students read texts closely to support their ideas when they write. Mentor texts provide good models of writing skills and techniques.